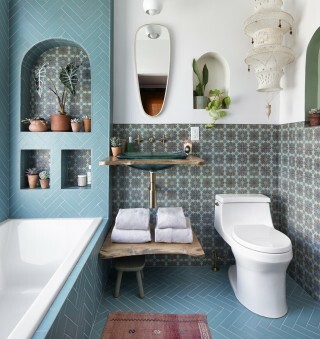 Inspiration abounds in this colorful Bohemian guest bathroom from Jungalow founder, Justina Blakeney. 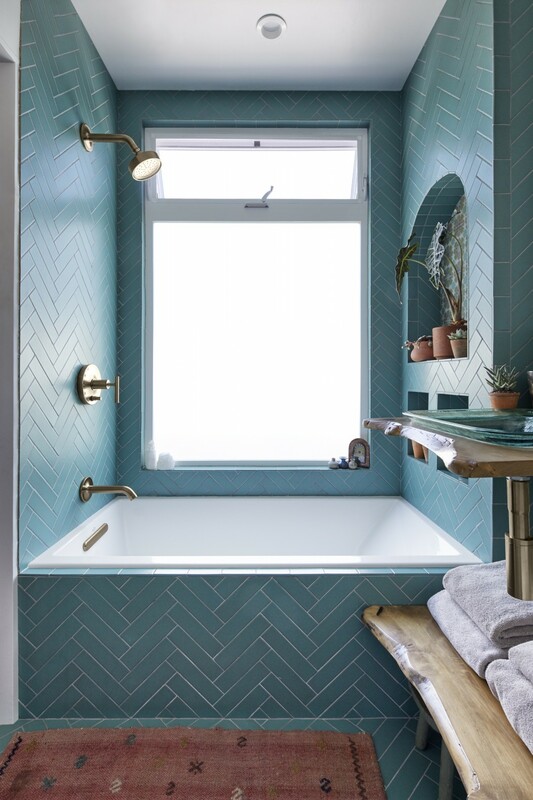 Its delicate layers of blue and green hues and expertly curated fixture colors will have you dreaming of the open ocean. Blakeney manages to fit a large amount of style in a small amount of space where each color, pattern and design lives in harmony. The key to creating this level of luxury and playfulness? 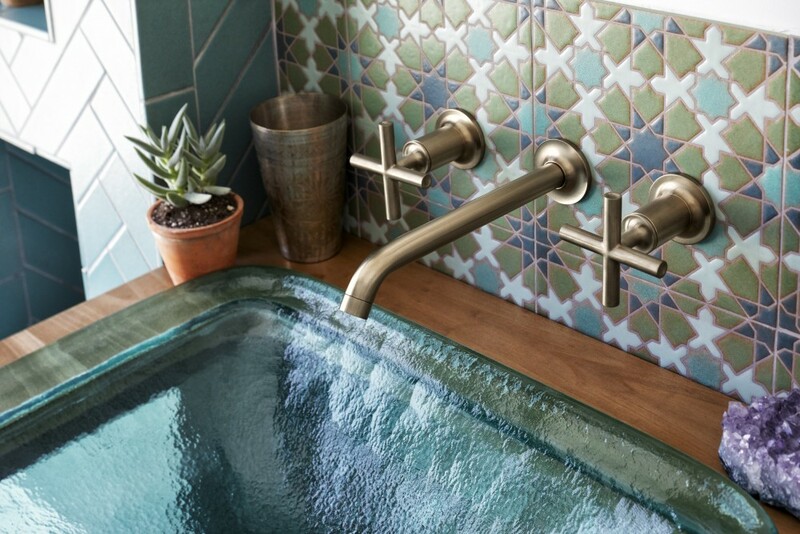 The courage to try. 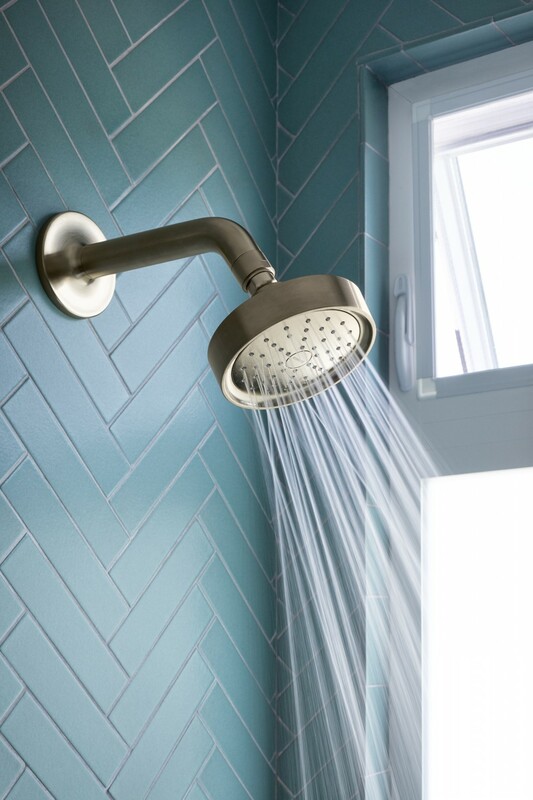 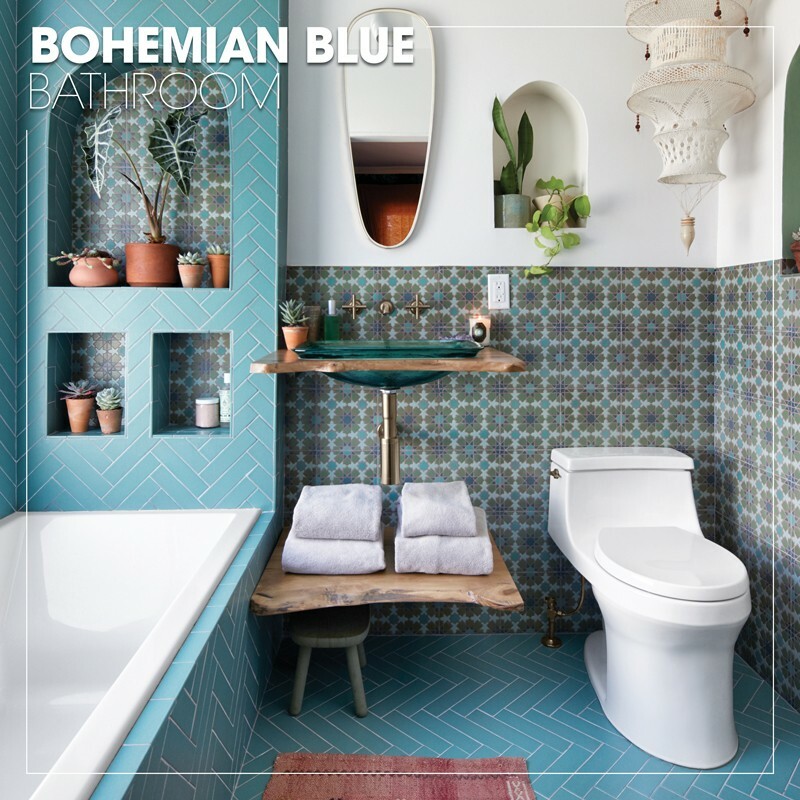 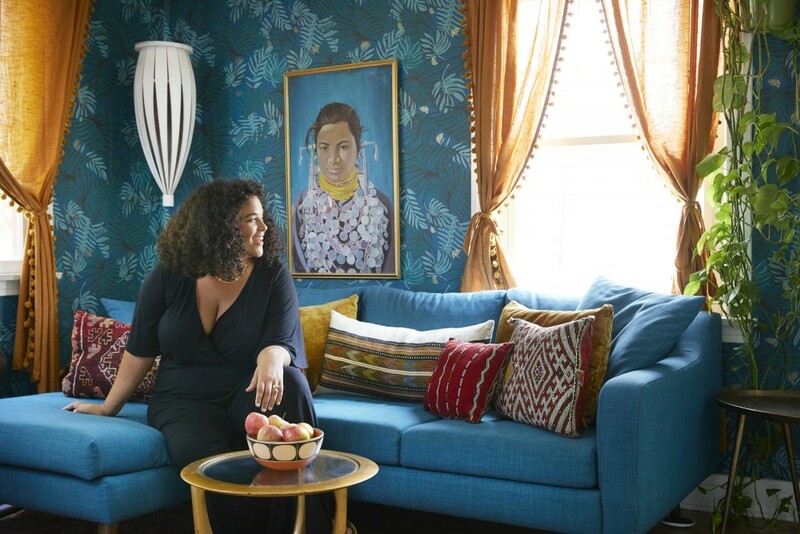 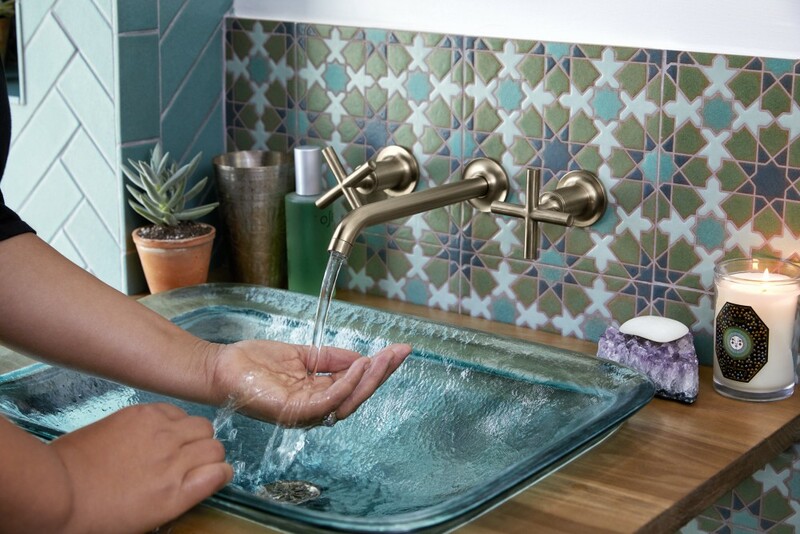 According to Blakeney, “When it comes to colors, bathrooms are a great place to test your feelings about going bold.” Discover how each element of her boho-blue design facilitates an exciting and rejuvenating experience.